I dedicate this website to Prof. Dr. Parviz Kardavani. I will continuously build up this website to provide information about Mr. Kardavani, his books, interviews, lectures, etc. Mr. Kardavanis research work on the subject deserts and especially on Dasht-e Lut aroused my interest and I think it to be a matter of common interest, to present his work to a wider readership and the professional world. I would appreciate any information from all over the world on this topic that would help me make this website even more informative. I believe that Dr. Kardavanis message and the research results of his scientific career have to be perpetuated on the internet and be made available for interested people all over the world. 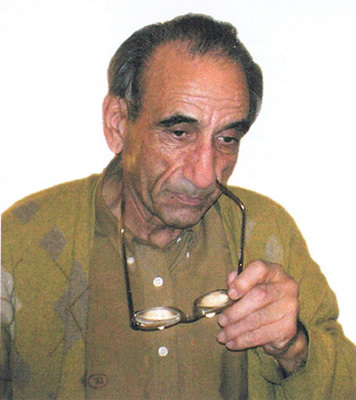 Prof. Dr. Parviz Kardavani, professor of geography at Tehran University (a desertologist) is an excellent scientist with innumerable publications, lectures and honours who has an outrageous personal commitment to the exploration and publicizing of the Iranian desert regions. Not without reason, in Iran he is called the father of the desert. During his ceaseless research in Dasht-e Lut, he was able to detect the hottest place in the world there, with temperatures up to 73 degrees Celsius. The desert is under black volcanic lava layers, which is the prime cause of such an extreme climatic condition," says Parviz Kardavani, professor of geography at Tehran University. Kardavani believes that being lowland is another cause of the desert's extremely hot and dry weather. "The desert's hot weather has left no possibility for life - even bacterial life. A dead animal in the desert will not decompose; it will rather get dried by the searing heat from the sun," the professor added.